“The Errant Charm” is a superb soundtrack for an afternoon idyll. 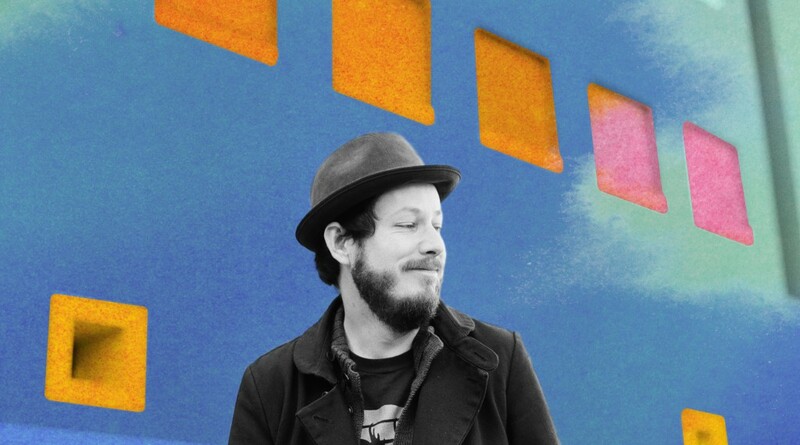 Vetiver bandleader Andy Cabic spent hours wandering the streets around San Francisco’s Richmond District, listening to rough mixes, tinkering with lyrics and arrangements. The album opens with “It’s Beyond Me”, a slow boil of acoustic guitar and vintage keyboards over a roomy beat. Here you’ll encounter almost every sonic idea showcased on “The Errant Charm”, the album’s universe distilled into one vibrant song. As the summery “Can’t You Tell” unfurls, you’ll begin to pinpoint some of the album’s unifying elements, the integration of drum machines and a washed-out, ambient guitar sound, peppered with jangly flourishes. Then there’s “Hard To Break”, the hazy, layered harmonies and sunlight-dappled guitar evoking fond memories of Fleetwood Mac circa 1982’s “Mirage”. Cabic and producer Thom Monahan have already made four Vetiver records together and know each other’s aesthetics well. It was time to experiment more, which was why Cabic didn’t arrive at Monahan’s Los Angeles studio with many completed songs. Instead, they started with lots of loose ideas and fleshed out the best bits. In some instances, they augmented or edited parts by themselves, and at other junctures they waited until the remaining Vetiver players could convene in one place to contribute. Those full band performances figure prominently in the album’s driving midsection… “Right Away”, “Wonder Why”, “Ride, Ride, Ride”… each of these selections is more propulsive and rocking than the one before it. Certainly that was Cabic’s intention for The Errant Charm, to push the dynamic range of Vetiver to previously unheard extremes. The Errant Charm… Errant as in wayward, elusive. Wandering but not lost. Within that wandering, all manner of treasures waiting to be uncovered, and new ones that surface with each listen.